Slice off the top and bottom of the root and peel away the tough outer skin. Submerge in acidulated water to prevent discoloration. 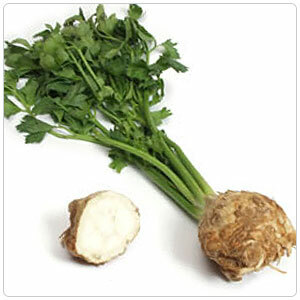 Use with other roots, such as parsnips and potatoes for pureed soups, as part of mixed roasted root vegetables, or julienned raw dressed with mustard flavored mayonnaise for a traditional French remoulade.